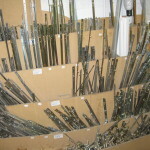 For all your glass, double glazed units, window and door fittings, window and door seals, locks of all types, thresholds, strip curtains, fire door locks and assemblies, finger traps, door and window closers or any other type of window door or glass related item our retail shop will be able to assist you in finding the right product. With an extensive range of available items and the extensive knowledge of our staff and technical team, in both the commercial and domestic sectors, the product you require will be quickly sourced. In addition to providing fittings and replacement parts our retail shop also provides a glass advisory, cutting and double glazed unit manufacture service where you can visit and discuss your requirements with our experienced staff. 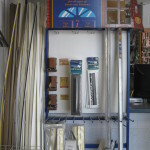 Our retail shop is open to the trade and to the general public we are able to supply full sets or parts for many items as well as being able to supply a diverse range of options. Our range of fittings also include items that comply with the ‘secure by design’ requirement, often stipulated in new design or by insurance companies, and a range of fittings suitable for use to comply with disabled persons requirements such a slow level thresholds and automated low level door controls.